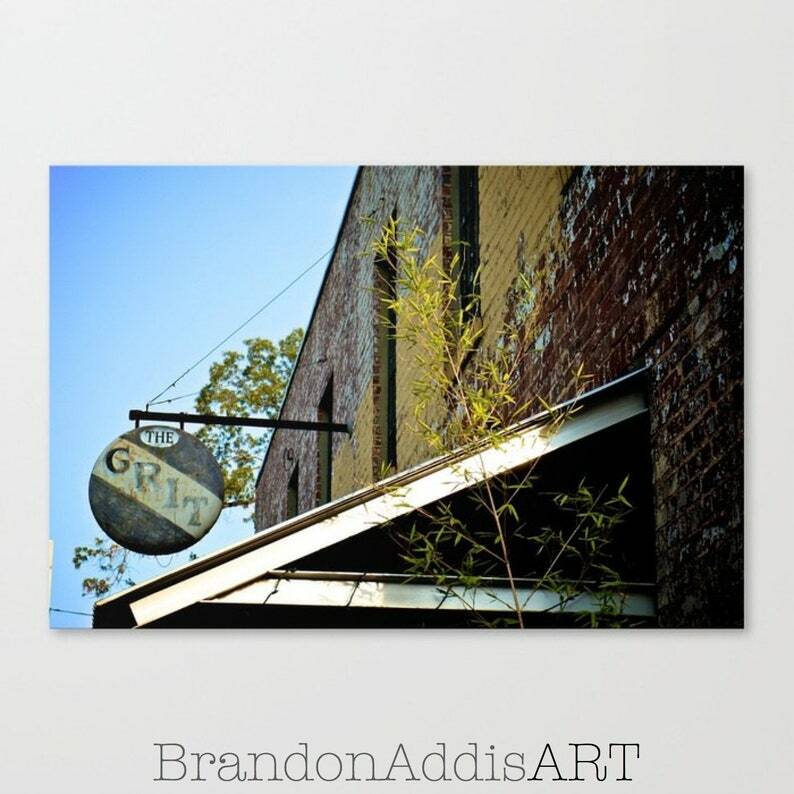 This urban photography print portrays the front of The Grit vegetarian restaurant in Athens, Georgia. The brick is layered with many colors of stripping paint, yellow standing out among the sunken windows near the grungy, antique “The Grit” sign. This fine art would make a wonderful gift for fans of Athens, as well as lovers of urban photography, and would look great in a home office.